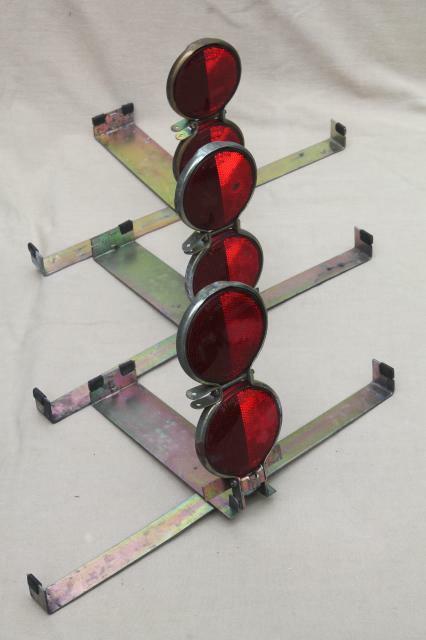 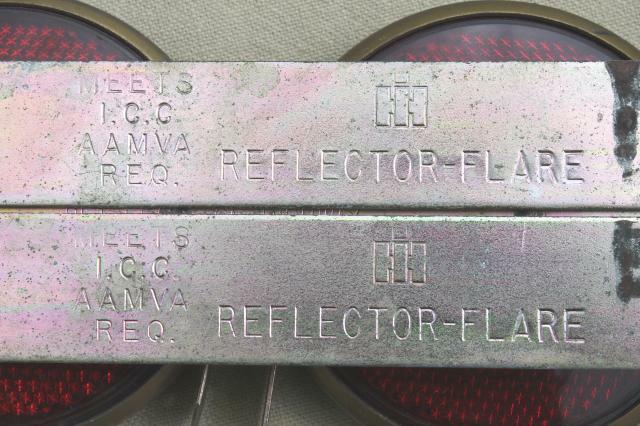 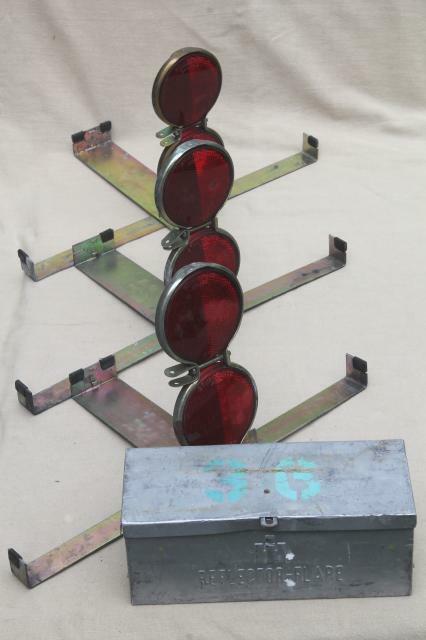 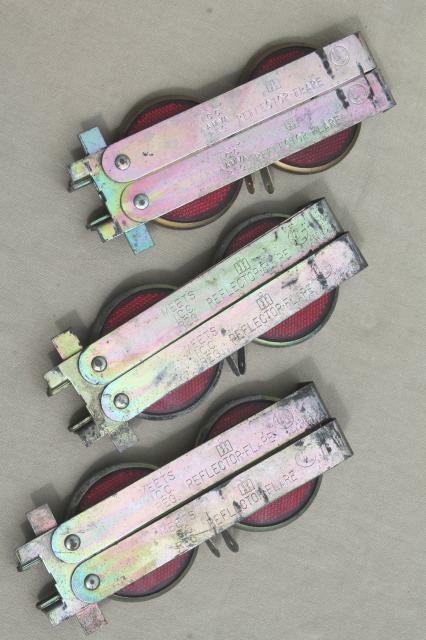 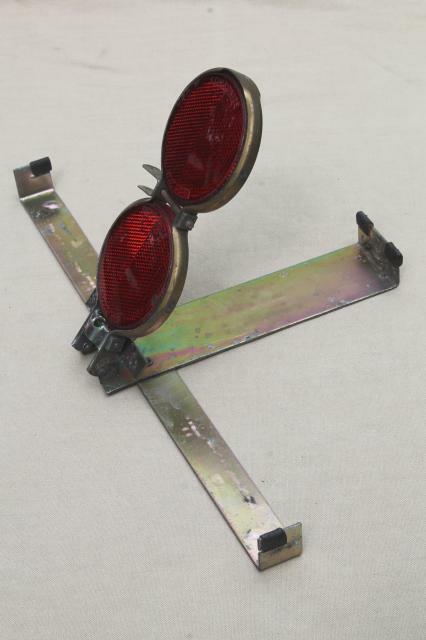 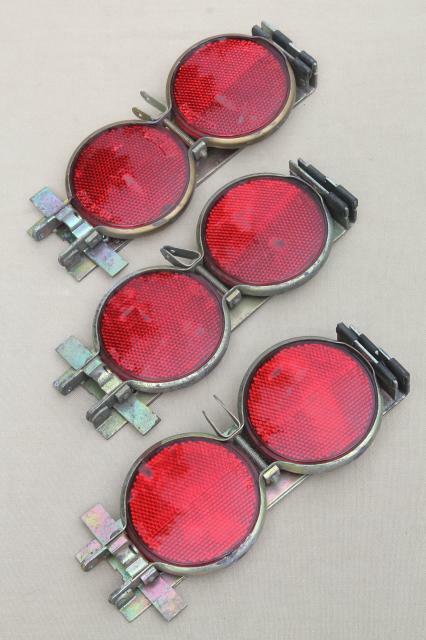 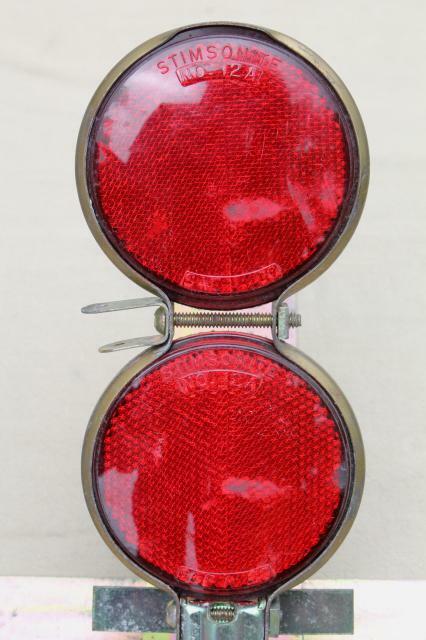 Emergency kit set of vintage IH Reflector-Flare truck highway safety flares in the original embossed metal case with the International Harvester logo. 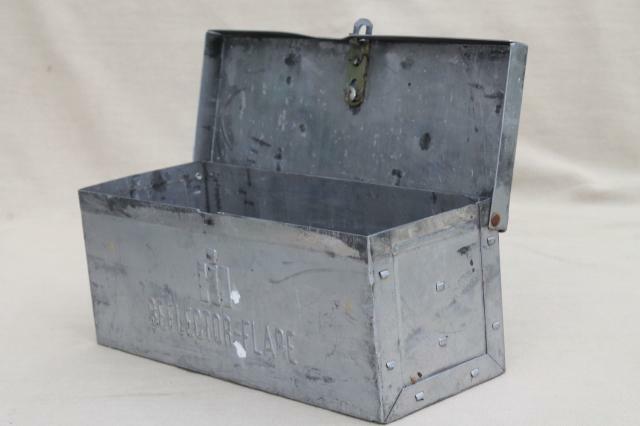 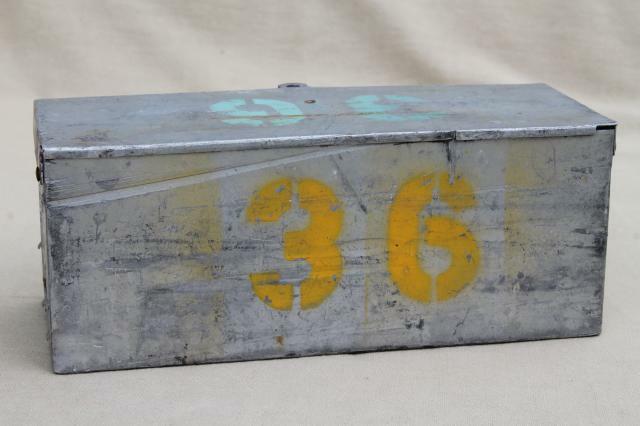 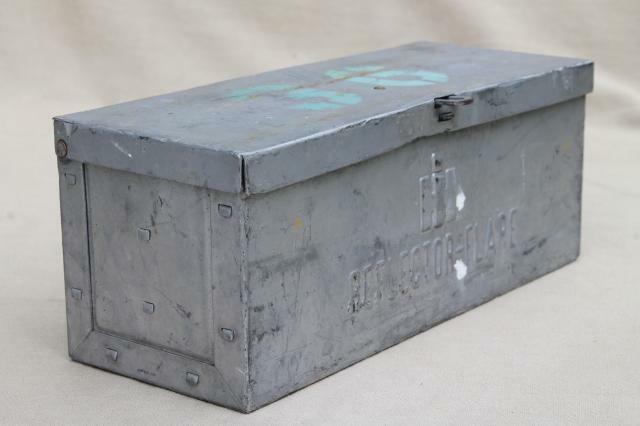 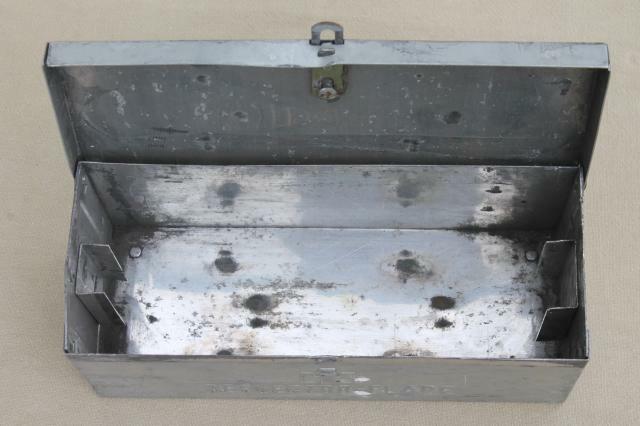 The metal case measures about 8 1/2" x 3 1/2" x 4" and has the number 36 painted on the top and back. 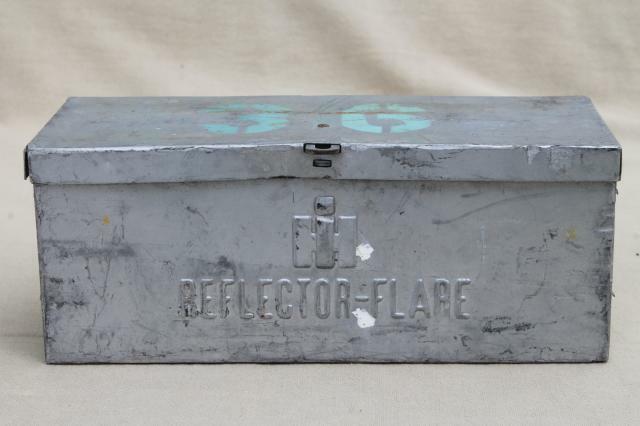 The flares stand 9" high with a 3" reflector.